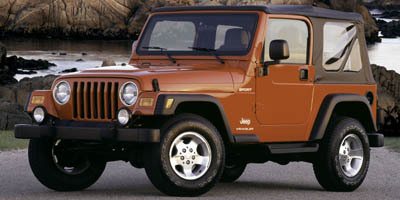 A stretched-wheelbase "Unlimited" version of the familiar Jeep Wrangler compact SUV debuted later in the 2004 model year that provides an additional two inches of rear-seat legroom, expanded cargo space, and improved ride qualities. Access to the back seat was also made easier via a front-sliding driver's seat. A 147-horsepower 2.4-liter four-cylinder engine remains the standard powerplant, with a 4.0-liter in-line six-cylinder engine available that generates 190 horsepower and 235 lb-ft of torque. Both can be mated to either a five-speed manual or four-speed automatic transmission. 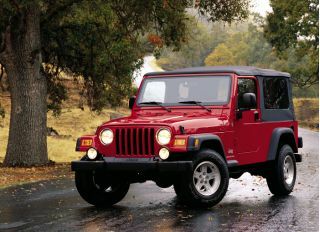 The "Rubicon" edition is the most rugged Wrangler with its "Rock-Trac" heavy-duty four-wheel-drive system. A "Scrambler" version that mounts a small pickup bed behind the front seats was said to be in the works for 2005, but details were still forthcoming as of this writing. 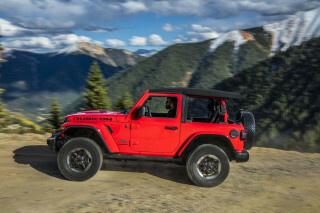 A new four-door Wrangler will reportedly be added to the line for 2006.